Fire with Fire – A fireman takes an unexpected course of action when a man whom he’s been ordered to testify against, after being held up at a local convenience store, threatens him. One of those episodes where our differing opinions make for lively conversation. Some big names and some pretty serious action coupled with quite a few inconsistencies in a movie that seems to have gone direct to DVD. 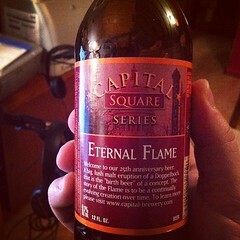 This episode is brought to you by Jeff’s Spirits on Main, a local full service beverage center, located close to the D&D Farm, in West Bend, Wisconsin. 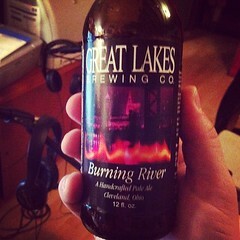 For this review we’re drinking Capital Eternal Flame and Great Lakes Burning River.